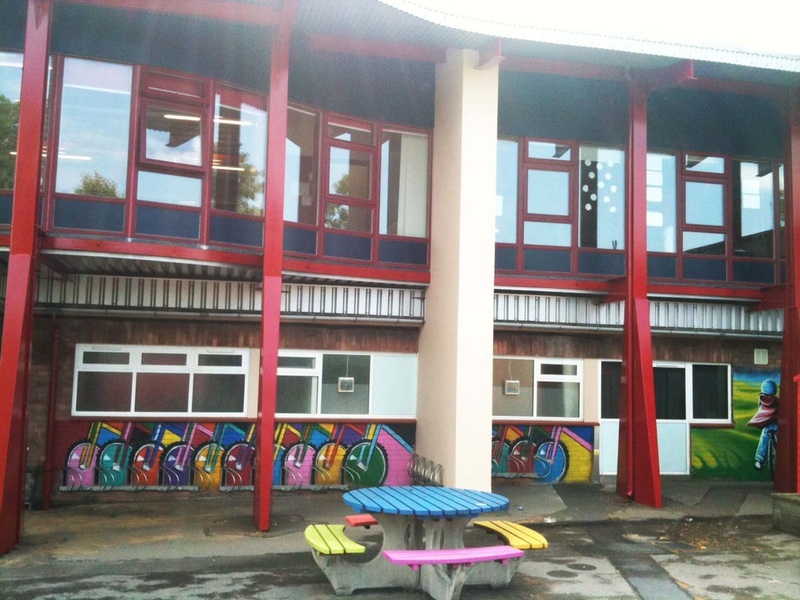 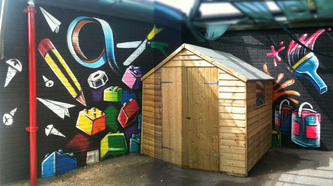 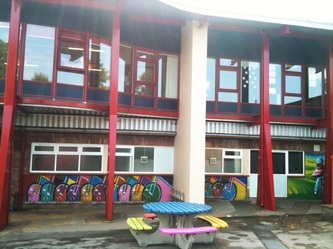 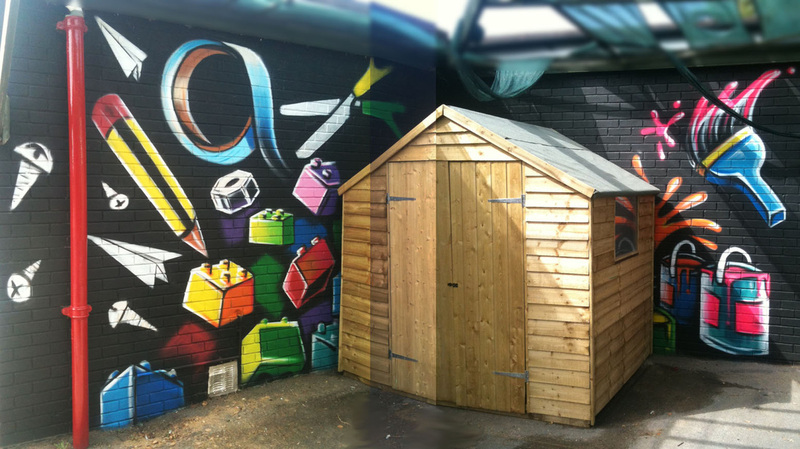 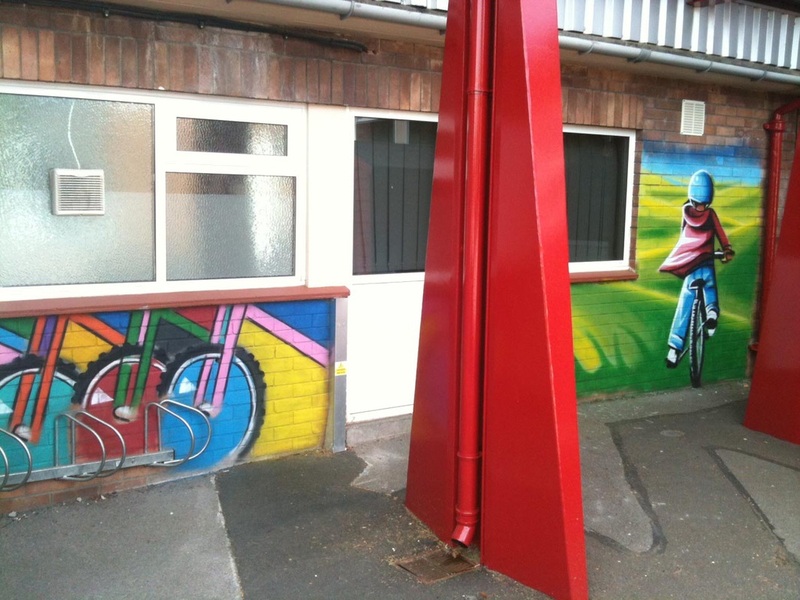 I was asked to design and paint murals for four areas of this school playground over two days in the summer holidays. 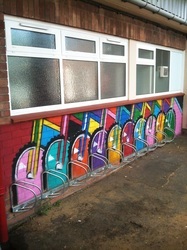 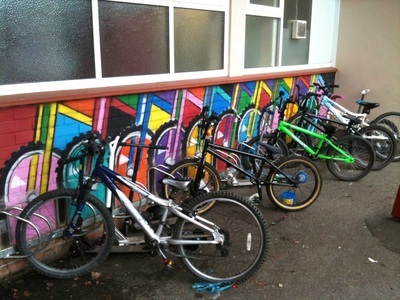 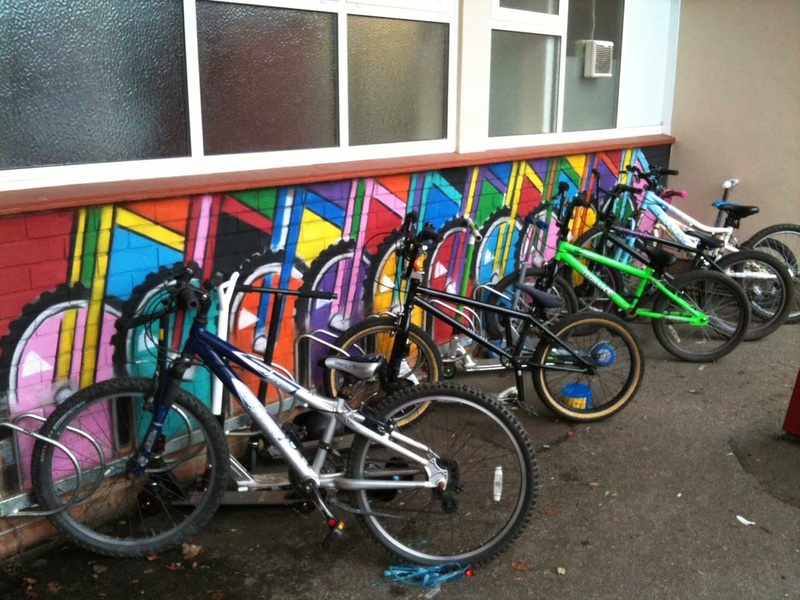 They now have a 'Pop art' bike rack inspired by the work of artists like Andy Warhol, Keith Haring and Roy Lichtenstein. 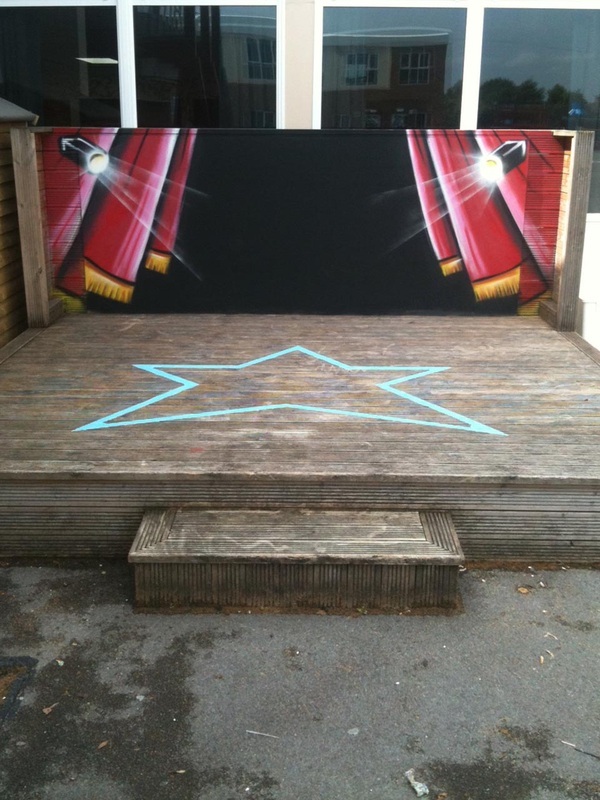 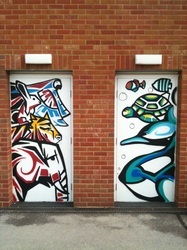 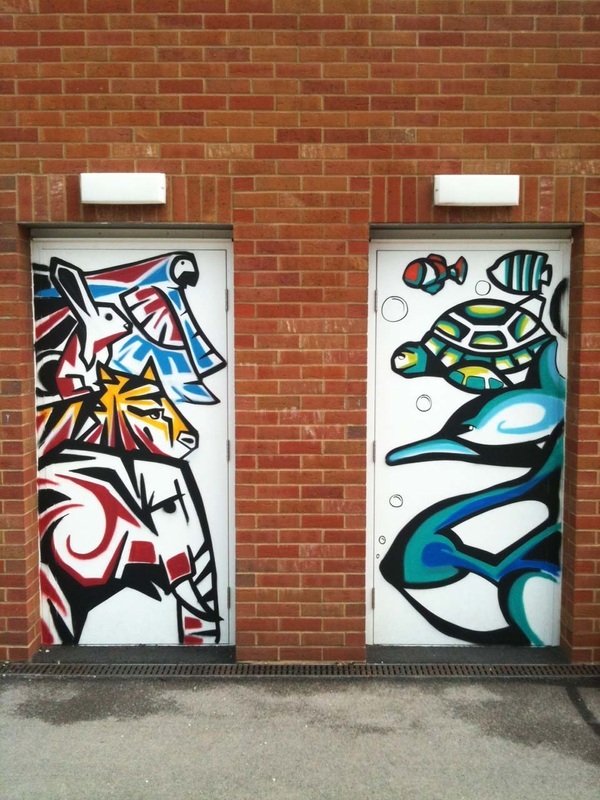 Totem pole inspired doors, the 'Ideas' shed has come alive and the stage is ready for performers! 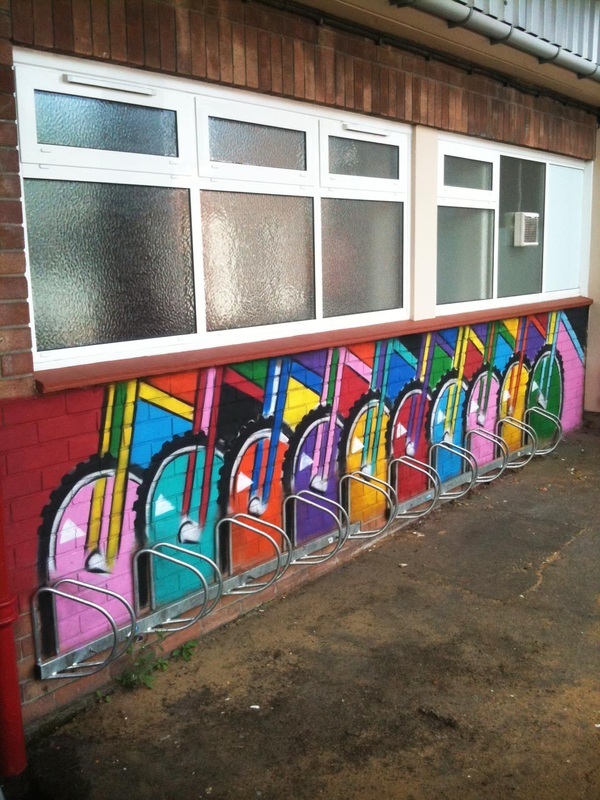 This was great fun to paint and there's a lot more to talk about and interact with on the playground now, hopefully it was a great surprise when the children came back to school.